So you’ve done it. You went out and finally bought your very first Jeep. Congratulations! Now that the hard part’s over, you may want to start (or have been) thinking about various off-road parts that you can outfit your Jeep with in order to make it a “machine” out on the open trails. 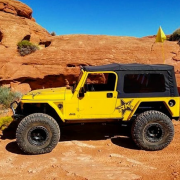 Whether it’s the latest model right off the lot or a used model, we’ll help you discover what off-road accessories in St. George will help you to get the most out of your Jeep. Let’s take a look! 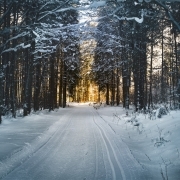 Off-roading in the winter is an entertaining and much needed distraction, especially if you suffer from “cabin-fever”. 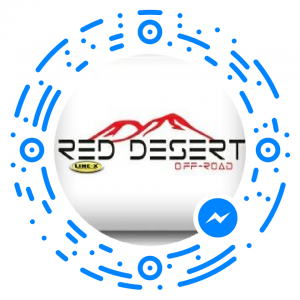 As a St. George off-road accessory store, we want to give our loyal customers what they want this winter. Below you’ll find all you need for off-roading this winter, from winter off-road accessories, tips and techniques, and even the best destinations to traverse this winter (like the 2019 Winter 4×4 Jamboree that you don’t want to miss). Jeeps have become increasingly popular in recent years with the growing interest in outdoor activity participation. This is especially true in regions like the North West United States, in Alaska, or even regions of Canada. When you are out in the wilderness or a cold tundra or climbing in mountainous areas you and your jeep need to be ready for any obstacles you may find yourselves facing.